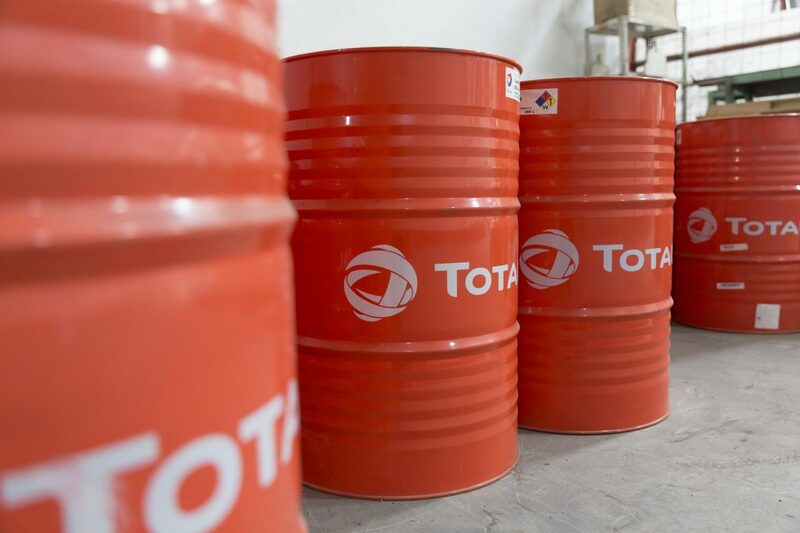 French Company Total Oil produce many high quality range lubricants from mineral, synthetic, process and food grade oil. Total Oil Appointed Nabel Sakha as a distributor for industrial segment in Indonesia. Total appointed Nabel Sakha as a distributor for industrial segment. Advantages as Nabel Sakha customer are after sales services such as free test lab, original products, lube survey and technical training seminar. Total industrial lubricant help to get the most out of industrial equipment and maximize the profitability of industrial processes. Whether in energy, chemical, steel and metals, textile, paper, wood, food & beverages or other industries, Total Lubricants, which are formulated in collaboration with major manufacturers and equipment makers, contribute to the reliability and performance of the production line. Heating of domestic and industrial premises, Production of steam and hot water, Air conditioning, Temperature control for storage bins, Heating by heat exchange, All types of systems (piping, pumps, etc…), Heating of heat treatment baths, autoclaves, reaction vessels, furnaces, dies, tunnel driers, injection moulding machines, Manufacturing processes (cement works, paper mills, timber industry, etc…). Heating of domestic and industrial premises, All types of systems (piping, pumps, etc. ), Production of steam and hot water, Heating of heat treatment baths, Temperature control for storage bins, Manufacturing processes, Heating by heat exchange, Operational temperature: from -20℃ to 300℃. CERAN XM 460 is made of the NEW GENERATION calcium sulfonate complex soap designed by TOTAL Lubricants. This new soap has enhanced properties in terms of water and thermal resistance, load capacity, anticorrosion properties while keeping a very high level of pump ability and ability to lubricate well in case of high loads. Lubrication and regulation of extremely high-performance aeroderivative turbines. ISOVOLTINE II-TP oil is a paraffinic base mineral oil for transformers, rheostats and circuit breakers using mineral oils. Suitable for lubrication of bearings, slides, racks subjected to high temperatures in dry and mildly humid environments, bearings of electric motors, generators, bearings of extraction fans for hot gas or steam, bearings of dryers, pumps, oven conveyors, and all other applications where rotation speeds and temperatures are high. is a top of the range synthetic grease designed for factory fill and sealed-for-life applications.Also suitable for lubrication of bearings, slides, racks subjected to high temperatures in dry and mildly humid environments, bearings of electric motors, generators, bearings of dryers, pumps, oven conveyors, and all other applications where rotation speeds and temperatures are high and/or low. has been developed for enclosed industrial gears to provide optimum gear protection against micopitting and bearing protection against scuffing under very severe conditions. Lubrication of gears operating under the most severe conditions (high loads, shocks, extreme temperatures and corrosive atmospheres). is a adhesive heavy duty grease designed for use on slide rails, metal cables, wire ropes, winches, small open gears and chains working under severe circumstances. is a heavy duty extreme pressure grease, pre-eminently designed for the lubrication of industrial bearings working under high temperatures and high loads in the steel industry. is a multi purpose extreme pressure grease, formulated for the lubrication of all kinds of industrial, marine and off shore applications, operating under the most severe conditions. (water,heat, dust and other pollution). is a synthetic oil that is particularly suitable for lubricating moving parts operating at very high temperatures. – reciprocating compressors (ISO VG 100). recommended for all kind of hydraulic systems operating under high pressure (limit as indicated by the pump manufacturer) and high temperature. is a Traced Inhibited Naphthenic base mineral oil for transformers, rheostats and circuit breakers using mineral oils. is specially designed for traditional machining of copper alloys and bar turning. LACTUCA LT 3000 provides also full satisfaction for all operations on fine carbon steels. is designed for the lubrication various applications in all types of operating conditions, but particularly where the operation temperature is high and the use of conventional lithium greases is limited. is especially developed for the lubrication of closed gears, can also be used for chassis lubrication by means of a centralized system for which NLGI 00 grade greases are recommended. Lubrication of engines in power generation plants, with or without cogeneration, when the manufacturer requires an oil ash content up to 0.5 %. specially designed for the lubrication of hydraulic, steam or gas turbines. They can also be used in centrifugal compressors or turbochargers. Suitable for all turbocharged or normally aspirated Diesel engines of civil works machines, trucks, locomotives. Suitable for all Diesel stationary engines (energy production). Mineral lubricant suitable for on-road diesel engines.